The Palestinian Resistance Committees have agreed to be party to the Egyptian-brokered truce between Israel and Hamas, which was breached by an overnight missile attack by Gaza. 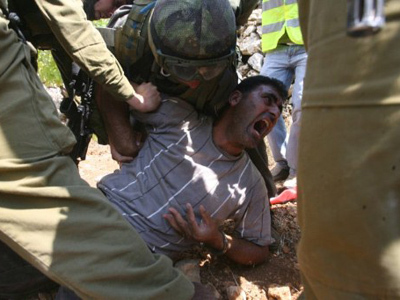 Israel has not confirmed that it is abiding by the treaty. 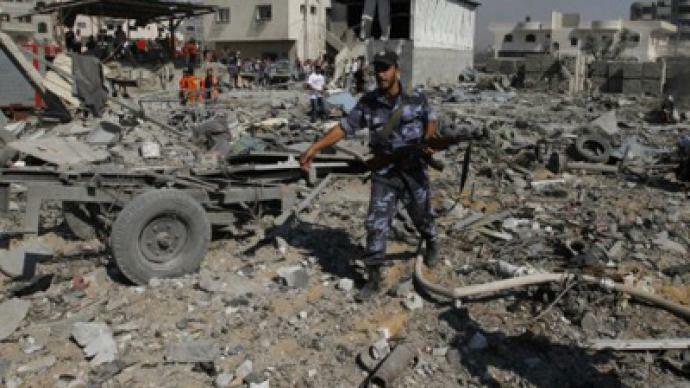 Earlier, Hamas insisted they had agreed to respect the ceasefire with Israel and said the series of rockets fired into southern Israel overnight was launched by splinter groups in breach of the truce mediated by Egypt at the weekend. Israel responded swiftly to the attack with another air strike. Around 14 missiles were fired from the Palestinian enclave and landed in Israeli territory, the Associated Press reported on Monday. It is the PRC which is being blamed by Israel for Thursday’s terror attacks on vehicles in the Eilat region which claimed eight lives. Israeli Prime Minister Benjamin Netanyahu convened an emergency cabinet meeting early on Monday, which concluded with an assurance that Israel will not retaliate with the same force used after Thursday’s attack, and will not launch a military operation in Gaza, RT’s Paula Slier reports from Tel-Aviv. On Sunday, Egypt brokered a cease-fire between Israel and Gaza, which had been plunging into a spiral of cross-border violence sparked by Thursday’s attack. “Hamas is keen on maintaining the period of calm that has prevailed in the Gaza Strip in the past few months,” a Hamas official was quoted as saying by the Associated Press. He also stressed that Hamas did not participate in the recent missile attacks on Israel. The statement comes as a result of intensive talks between Egyptian authorities and representatives of various Palestinian groups, including Islamic Jihad. The talks which took place on Sunday were supposed to bring the cease-fire into effect later on Sunday, said Reuters. But after 9 p.m. local time, missiles were still being fired at the cities of Sderot and Ashkelon in southern Israel, the Jerusalem Post reported. Moreover, the Popular Resistance Committees, which lost several of its leaders in an Israeli air strike on Friday, said it "won't stop the resistance." Besides inter-Palestinian talks, Egyptian officials mediated the cease-fire talks between Israel and representatives of Islamic Jihad and Hamas, Reuters reported. 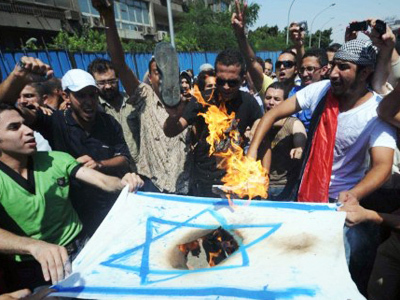 An unidentified high-ranking Israeli envoy arrived in Cairo on Sunday, a source in the airport told the news agency. The new round of conflict between Israel and the Palestinians flared up on Thursday, when unnamed terrorists ambushed vehicles in the southern Israeli city of Eilat, which borders on Egypt. 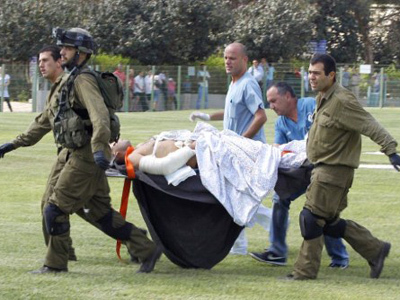 Eight Israelis were killed in the attack. 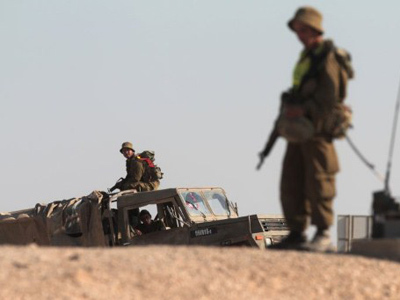 Gaza, in turn, has responded with heavy shelling of southern Israel, resulting in the death of one Israeli. On Sunday alone, over 30 rockets struck Israel, including a Grad-model Katyusha that hit an empty high school in Beersheba and caused extensive damage. On Saturday, exasperated by Israel's continuing air strikes, Hamas said it would withdraw its commitment to a more than two-year de-facto ceasefire with Israel.